Consuming approximately 50% of gross, employees aren’t only a dealership’s single largest operating expense, they’re also its most powerful sales and customer service tool. To remain relevant against competitive threats such as autonomous vehicles, ride-sharing services, new listing sites, and car subscription services, hiring quality employees to drive a dealership forward has never been more important or challenging. Dealerships are in constant defense mode against changing marketplace dynamics, continuously implementing a variety of new strategies to drive business, yet often neglect their most powerful resource: human capital. Despite new innovative processes and tools to drive financial results through better people strategy, dealers constantly struggle with building their best teams. For example, the 2017 NADA Dealership Workforce Study, which analyzed more than 451,000 payroll records from 2,350 new car and truck dealerships, reported a common industry challenge of finding employees who are the right fit for the right job. And the 2017 Cox Automotive Dealership Staffing Study found that although more than 67% percent of people in the U.S. are actively looking for new employment opportunities, only 1% would consider working at an auto dealership. 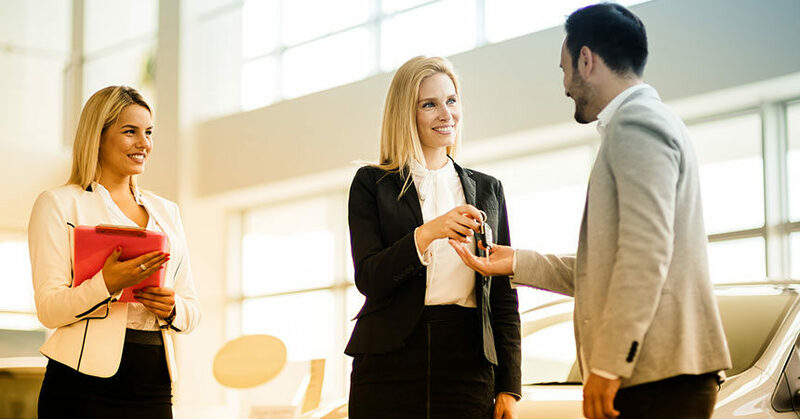 The following are several ways dealerships can improve hiring and talent management to turn employees into a source of competitive advantage and, as a result, improve the customer experience. Many dealers don’t have a strategy in place to measure the ROI of their applicant sources, which can lead to missing out on quality candidates and spending too much on job boards that aren’t performing. To optimize job board spending, dealers should instead diversify recruitment channels to more than one or two sources. Over time, posting across job boards, social feeds, and local classified ads enables you to reach quality candidates through more sources while saving money that otherwise would have been spent on a single costly job board posting. By focusing on a wide variety of job boards and other applicant sources, you can more effectively measure which ones are bringing in the most quality candidates and the best total cost per hire—and eliminate the job boards that don’t result in quality candidates. To understand your sourcing budget ROI, divide the total costs of each channel by the number of quality applicants you receive. This will give you a cost per candidate, which is helpful for comparing different job boards and other networks that might have different pricing models. Third-party sourcing tools are available that drive quality applicants to dealers and bring transparency to their recruitment spend. Using such tools, dealers can build compelling career sites, see which sources the highest-quality candidates are coming from, and whether or not their budget is being spent effectively. Job seekers already have a negative perception of working for dealerships. 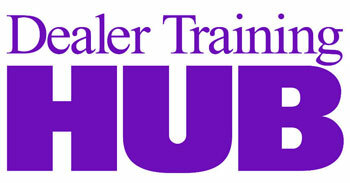 Dealers must examine factors driving this perception and create messaging on their career sites to address the issues. Engage the applicant. Use photos and videos that excite job seekers. This includes pictures of the team, company outings, or other visuals that give applicants a glimpse into day-to-day dealership life. Spell out core values. A career site should clearly define a dealership’s fundamental beliefs. By establishing core values that applicants can identify with, a dealership will attract more candidates who best serve their customers—and improve their overall performance. Highlight a career path. Job seekers want to see a clearly defined career path that provides an understanding of career progression. A strong career site provides visuals that illustrate potential paths for employees on the sales, technician, and operations sides of the business, as well as real-life profiles of those who have moved up through the ranks. In today’s competitive job market, applicants need a seamless experience that provides a strong sense of a dealership’s story on a robust, informative career site. If not, potential star employees will likely go work for a competitor with a better career site and employment brand. The applicant experience also impacts a dealer’s overall brand perception. A poor experience can cause a dealership’s overall employment brand to take a hit. Dealers must remember reviews can be given at any time on any platform, and the negative ones will drive candidates—and even customers—away. A positive experience requires a dealer to review applicants quickly, follow all steps in the hiring process, schedule interviews in a timely manner, efficiently communicate with candidates, and follow up with all—whether or not they receive a job offer. Building the best dealership team is critical, as a customer’s interaction with staff members determines whether or not they will return to a dealership, let alone recommend it to friends and family. The customer experience also has a significant impact on dealership online reviews. According to recent data, nine in 10 consumers won’t even consider a dealership without first reading reviews. And negative online reviews can drive customers away. Positive reviews are tied to having an engaging, professional, and pleasant team that treats the customer with respect and kindness throughout the car-buying process. Ultimately, a motivated, quality team leads to increased efficiency, productivity, and revenue for a dealership. Building a high-caliber team starts with implementing a strategic hiring process. This includes measuring ROI to determine which sources are driving quality candidates, having a robust career site that tells a compelling employee brand story, and providing applicants with a positive experience. Adam Robinson is the co-founder and CEO of Hireology—the leading integrated hiring and retention platform in retail automotive—working with over 1,000 dealerships in the U.S. and Canada to help build great teams and drive profitability. Will 2018 Be the Year of Culture Change at Your Dealership?